Amid midtown Manhattan's high-rise buildings stands a vestige of old New York. Three 19th century townhouses keep a secret buried deep inside - the 21 Club. 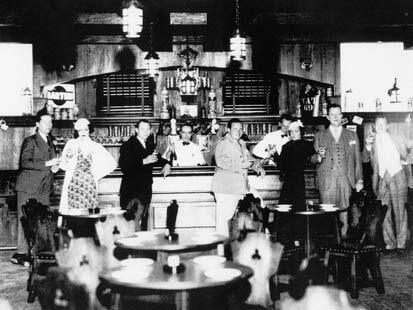 The club opened as a speakeasy in 1929 and was one of the swankiest of the city's approximately 32,000 illegal clubs during Prohibition. It's one of the very few that still exist today. "Anybody who was anybody who wanted to see and be seen would come to 21," said 21 Club general manager Bryan McGuire. Famous faces, like Ernest Hemingway, Humphrey Bogart and Frank Sinatra were regulars, and even Hollywood has captured its glamorous appeal over the years in films like "Wall Street." But it wasn't all good times and glamour for 21 Club. Federal agents targeted the bar during Prohibition. In fact, a gossip columnist was banned after he penned a column noting that Prohibition agents had never raided 21. The next day, law enforcement agents decended on the speakeasy and the owners vowed that day in 1930 never again to lose their precious liquor in a raid. They hired an architect to design an ingenious and intricate system to hide and destroy liquor in case of future raids. "If they knew that the feds were coming in -- which they always did -- because the New York City police used to tip them off -- they would just press [some] buttons," said Food and Wine author John Mariani. 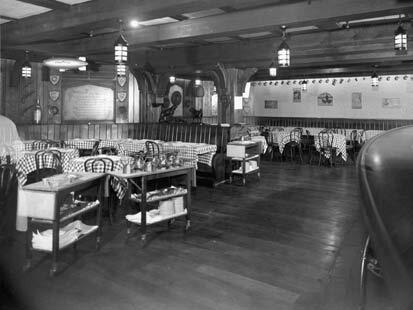 "The first button would set off an alarm, alerting patrons to down their drinks." "Then the barman inside, he would press the button under the bar and the back shelves would flip upside down. And all of the liquor and wine bottles would slide down and break into the New York City sewer system," McGuire said. The next layer of defense was more complex. 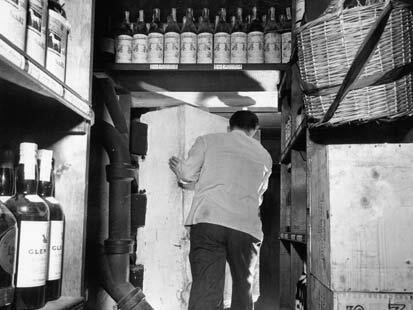 It involved going through the kitchen, down a steep staircase to get to a secret door that camouflaged a wine cellar entrance. There was a two-door door cut into the cellar of the brownstone next door and a skewer was used to open it. The 1930s engineering marvel still works today, and at the time, federal agents had no clue about it because, technically, the stash was in the neighbor's house. Inside the cellar sat case after case of fine wine and some cheap gin, too. "If you were a revenuer, a federal man who came here looking for liquor or illegal spirits, you would never find them, even though there was a bar there," Mariani said. When agents raided the club again in June 1932, officers were unable to find anything after hours of combing and ransacking the building, looking for liquor in closets, rooms, the attic and basement. Today it houses a wine collection valued at $1.5 million, including a private collection from some past and present notables. Former president Richard Nixon has a bottle there, as do famed actress Elizabeth Taylor and former first daughter Chelsea Clinton. Today, 21 Club is one of the most celebrated restaurants in New York City, but it's eager to share its rich history.